Equipped with the same DNA as the Crosswalk, the new Crosswalk Convert. Its advanced features make the Crosswalk a nimble, easy to manoeuvre pram and pushchair. Its exclusive large PU tyres, 10 times more resistant than traditional tyres, have great shock absorbing properties. 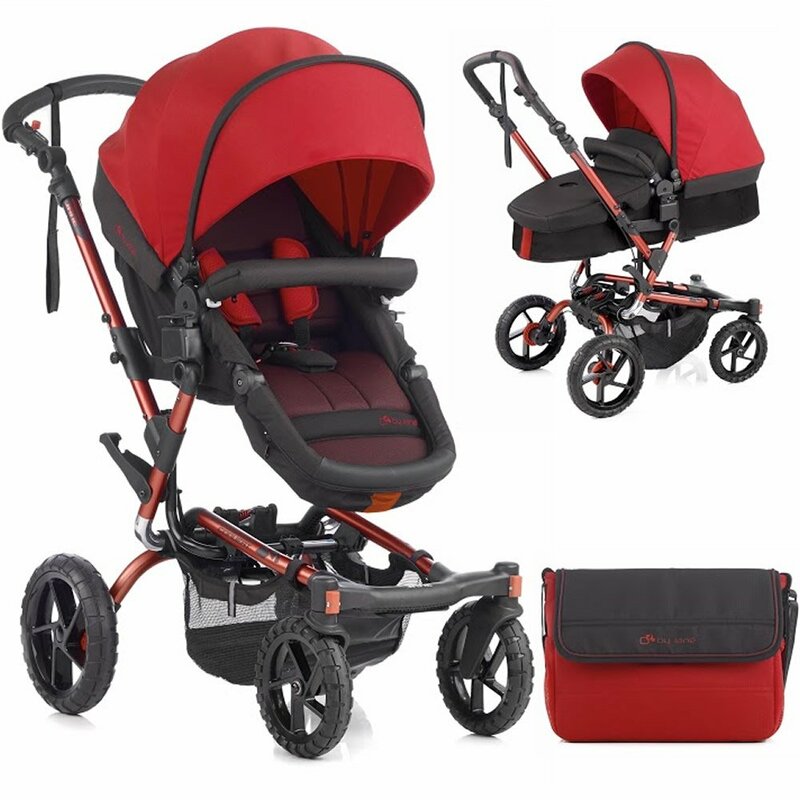 A tubular aluminium chassis, independent suspension with shock absorbers on the rear wheels and a more spacious seat with reclining multi-position backrest (including a unique horizontal new-born position), offers baby greater comfort. Crosswalk has everything you could want in a pushchair. This Crosswalk Convert system allows you to convert the pushchair seat unit into a carrycot with its own hood and apron. The carrycot has 2 carry handles and support bars so the carrycot can be removed and used separately for baby to sleep in. Its roomy seat unit with larger hood and apron create the prefect environment for newborns. Also available to coordinate with the Crosswalk Convert is the KOOS – one of the lightest and most innovative infant car seats on the market. Why Buy Me:  Easily converts into a stand-alone carrycot with carry handles which is ideal for new-borns.  Complete with a larger hood with retractable hood visor and an upholstered apron that can be used when in pushchair and carrycot modes.  I have a light weight tubular aluminium chassis with independent suspension and shock absorbers for maximum comfort over all-terrains.  Very compact all-terrain thanks to its patented compact folding system and 4 removable wheels.  I’ve got large all-terrain wheels with PU tyres which are 10 times more resistant than conventional tyres.  Crosswalk has a more spacious seat with reclining multi-position backrest and an additional unique horizontal lie-flat position ideal for a new-born. Includes Matching Changing Bag Crosswalk Convert Raincover,Complete with a larger hood with retractable hood visor and an upholstered apron that can be used when in pushchair and carrycot modes.Crosswalk has a more spacious seat with reclining multi-position backrest and an additional unique horizontal lie-flat position ideal for a new-born.